The Porsche 911 is all-new for 2012, a new-generation version completely redesigned from the ground up. Now starting its seventh generation, the new 911 maintains all the familiar styling cues fans expect, but the 2012 Porsche 911 Carrera S we drove was delightfully, almost subversively different from the outgoing version. It's easy to recognize the classic Porsche profile, with the long, sloping snout, the flyline roof and tapered rear, but the 2012 911 is longer, lower, and wider than before. It's also lighter. This is a case of Darwinian evolution at work, after all, and odds are, if the new Carrera comes up in your rearview mirror you better slip to the side. You're just prey. As is the norm with Porsche, the maker plans to steadily roll out a variety of variants of the 911, from the base Carrera to the Cabriolets up to an eventual GT3. 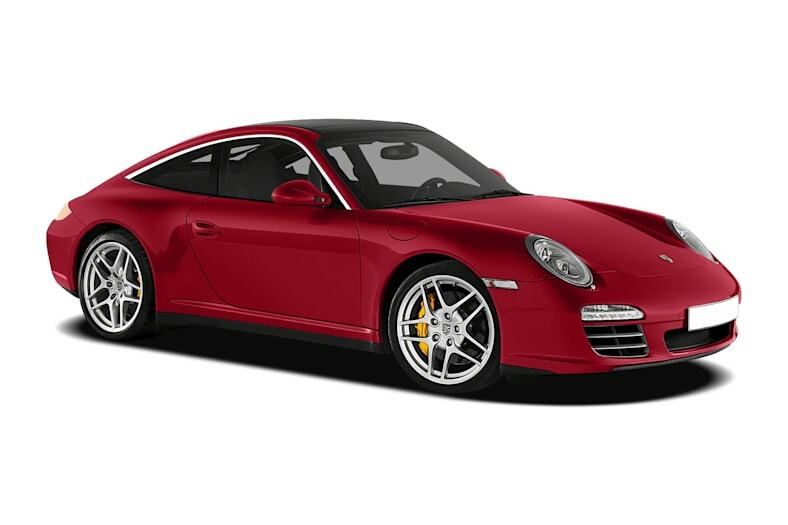 For 2012, the Porsche 911 is available in two versions, Carrera and Carrera S.
The Carrera features a 3.4-liter flat-six engine punching out 350 horsepower, a 5 hp increase for the 2012 model. Its 0 to 60 times have dropped 0.2 seconds, to 4.4 seconds, according to Porsche. The Carrera S goes with a larger, 3.8-liter flat-six making 400 hp and 325 lb-ft of torque, with launch times to 60 mph of 4.1 seconds and a top speed of 189 mph. 2012 Carrera and Carrera S coupes are on sale now, and will be followed by 2012 Carrera Cabriolet and Carrera S Cabriolet models. Sales of the Cabriolet are expected to begin in late April or early May 2012. The Carrera cabriolet gets a new soft top that can be raised or lowered in just 13 seconds and at speeds of up to 31 mph. Our first drive opportunity landed us in the driver's seat of the 911 Carrera S, the model we expect most Porsche 911 buyers to choose. The Carrera S features a slightly larger engine, at 3.8 liters, making a sizable 400 horsepower and 325 pound-feet of torque. More amazing is the fact that it can come within a tenth of a second, at 4.1 seconds, of matching the 0 to 60 times of the old 911 GT3. Of course, if straight-line acceleration were all one wanted there are plenty of muscle cars and rice rockets that can deliver neck-snapping acceleration, and at a fraction of the 911's stiff price tag. But Porsche is all about the overall driving experience, and perhaps nothing personifies that better than the 911 Carrera S.